Before we take a dip into 2018, swimmers and pool owners alike can take a minute to reflect on how 2017 made waves within the pool design industry. 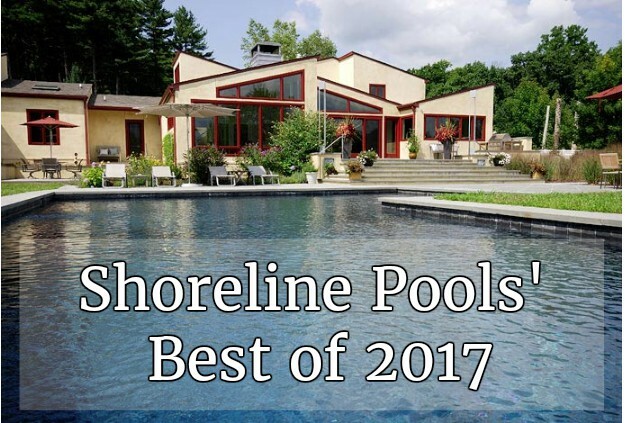 From new technology in pool features and upgraded safety to sustainable materials and entertainment ideas, this past year was a whirlpool of accomplishment. Unanimous votes have led to a roundup of the top 10 best blogs of 2017. Read on to discover which blogs made a splash in 2017. Looking for a pool design that can match your aquatic activity level? Sports pools go beyond traditional swimming pool design by allowing room for all types of pool games and activities. Find out if a sports pool is beneficial to your lifestyle and pool use in our blog. Did you know that aside from being aesthetically pleasing, glass tiles are actually more durable than porcelain and ceramic tile? Learn all the creative ways you can arrange a glass tile masterpiece right in your swimming pool, after reading our blog. Homeowners are not just reselling their home; they’re also selling their backyard. Therefore homeowners must understand how a pool’s shape, design features, and function can attract or repel potential homebuyers. To find out if your swimming pool needs updating take a peek at our insightful blog. A luxury pool does not have to be huge, expensive or include lavish features to be enjoyable. On the contrary, smaller pools can be beneficial in creating an entertaining backyard space. See how you can install a smaller sized swimming pool with a functional design at the right price point in this can’t-miss blog. Looking to have an excuse to use your pool year round? Or perhaps you want to give your body that extra pampering it needs? Our blog guides homeowners on how to turn their pool into the ultimate tranquil retreat. Stuck wandering down aisles or scanning websites to find a pool raft that can provide relaxation, entertainment and won’t pop after one use? 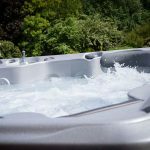 Our guide to buying pool rafts and floats will explain all the shopping basics from identifying the best types of floats on the market to the most durable material. If you are looking to take your pool design to another level, you can do so by installing a waterfall feature. Our experts share all your options from flow function and sound design to the perfect lighting. This blog is a must-read for anyone that wants to be the talk of the neighborhood. Pool safety is paramount for any swimming pool owner. But how can you be sure you’re taking the appropriate precautions? After all, accidents can happen in the blink of an eye, and so, our experts explain safety guidelines, new safety devices you can install, as well as preventative measures against drowning. Read our blog to help keep your family and friends safe this upcoming pool season. From kidney to rectangular to L-shaped swimming pools the possibilities of swimming pool shapes are endless. So how do you choose which one is best for your backyard? Our design experts explain each popular pool shape and the backyards they will fit perfectly in. Begin planning your dream pool by reading our blog. Each year millions of Americans dispense chlorine into their pools without actually knowing the dangers, sanitization benefits, or the correct amount of the chemical. Luckily, readers can use our blog as a guideline on how to properly handle chlorine. Each year new trends emerge in pool design, sometimes drastically alternating the landscape. To stay afloat on the latest pool maintenance tips, pool safety news and ideas for entertainment be sure to subscribe to our blog. For design innovation and consultation, contact a top pool designer near you today.